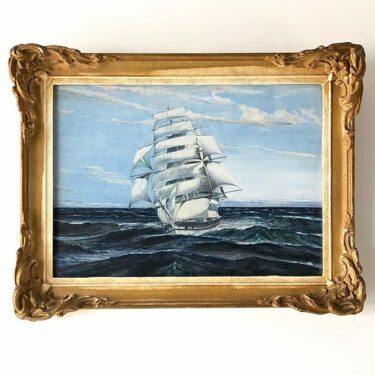 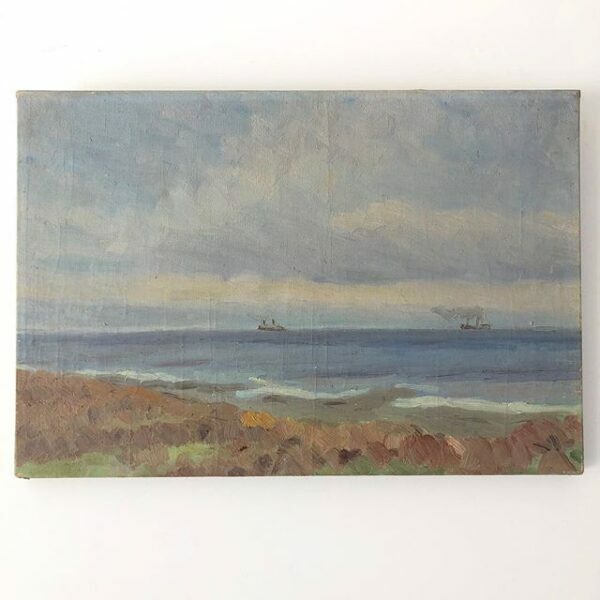 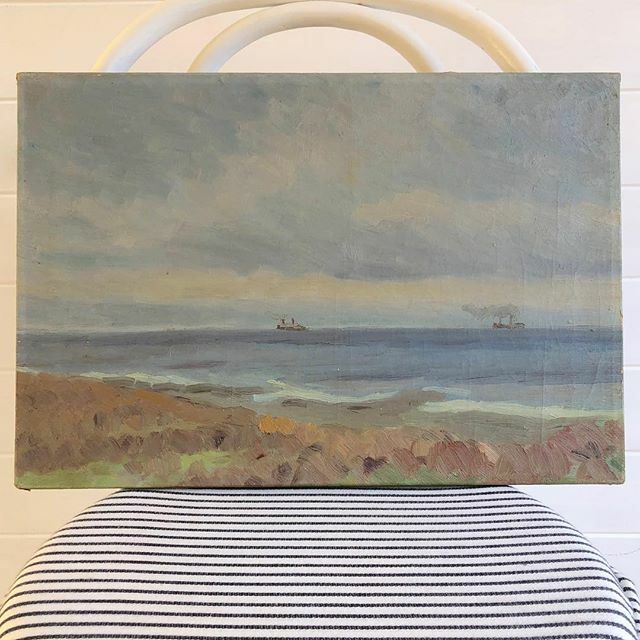 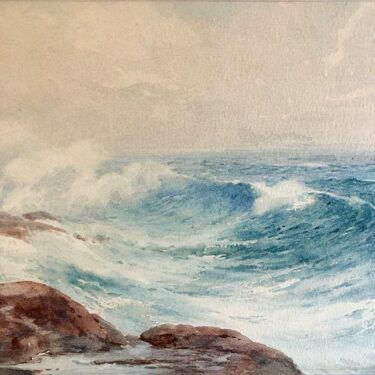 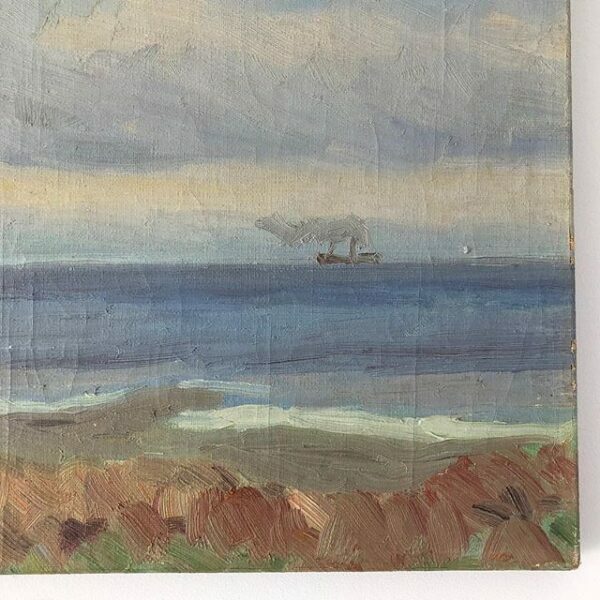 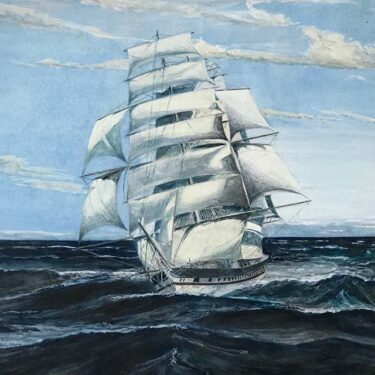 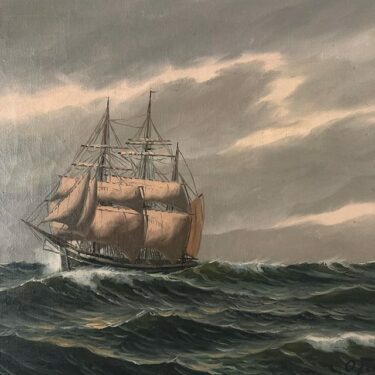 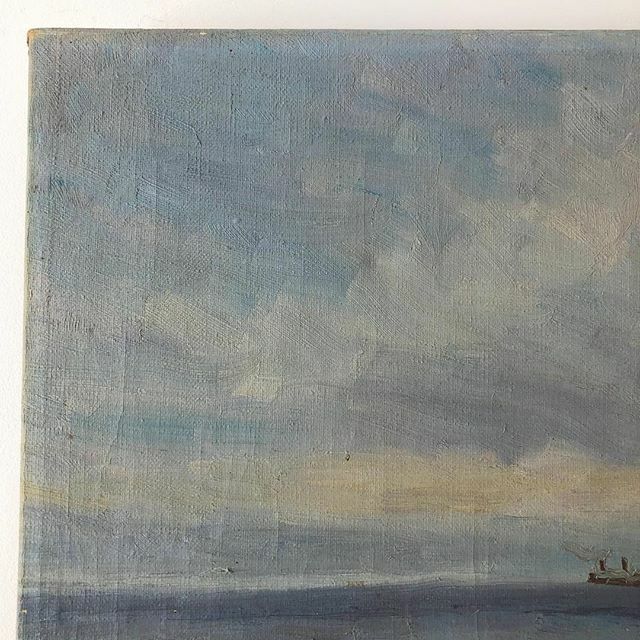 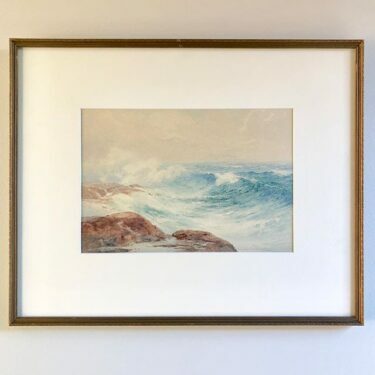 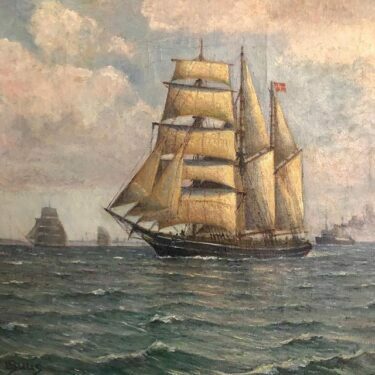 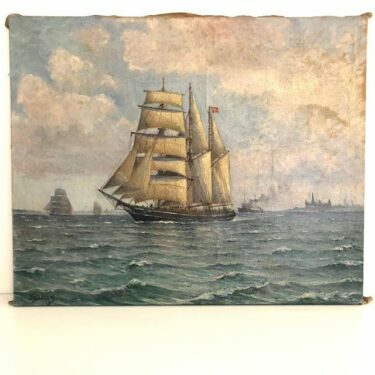 Peaceful muted colours give this painting a calm atmosphere, two ships can be seen on the horizon with waves gently lapping into the coastline. 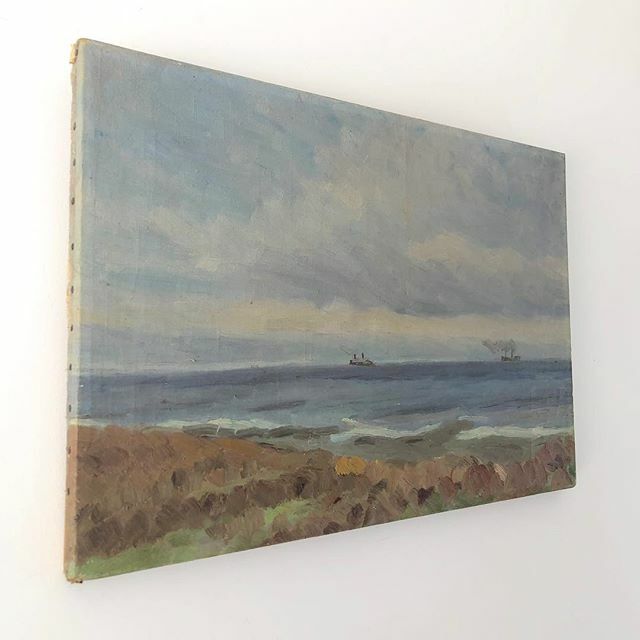 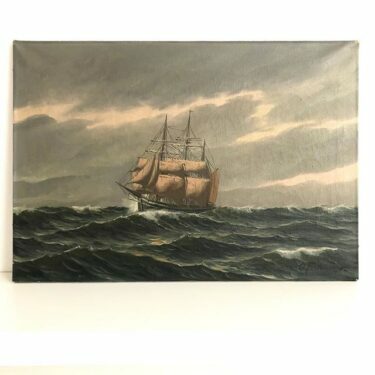 Oil on Canvas, linen canvas, early to mid 20th Century, old style side studding to the stretcher. There is an attribution to Will Ashton on the stretcher verso, however the painting is unsigned. 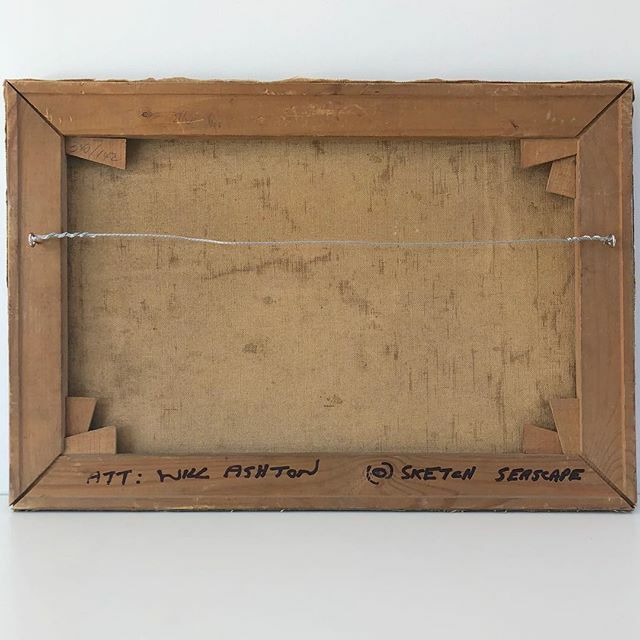 Measures: 47cm wide, 33cm high.